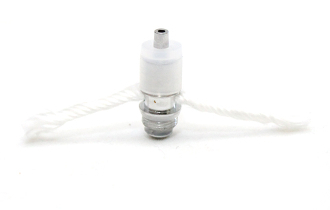 The K1000 E-Pipe Coil Heads are the replacement wicks used for the K1000 E-Pipe. They give you the capability to replace your wicks when they burn out instead of having to replace your entire clearomizer. The typical life of the K1000 E-Pipe Coil Heads is 15-20 days though this can vary depending on your volume of vaping.